Price includes 2 dumbbells of the specified weight. 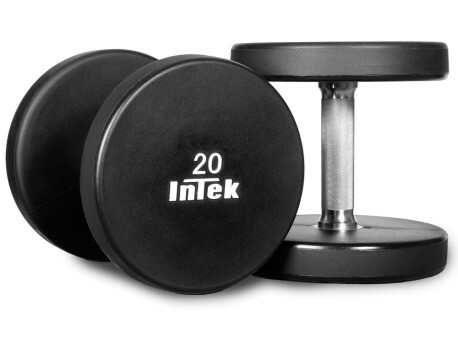 Unlike most of our other dumbbells, these are sold in pairs, not singles. Intek went above and beyond with their Armor Series urethane dumbbells. They press-fit the steel handles into the steel heads and then weld them into place, preventing any possible loosening of the heads from being dropped. The heads are encased with a thick layer of urethane. Feel free to drop these all you want. The handles and the thick urethane will hold up. The matte color also keeps them looking new for longer (no abrasion marks that stand out). The white weight lettering isn't just painted on the surface. The white is part of the urethane and will not wear off even if they are exposed to lots of abrasion. This is what you see in the highest quality dumbbells. 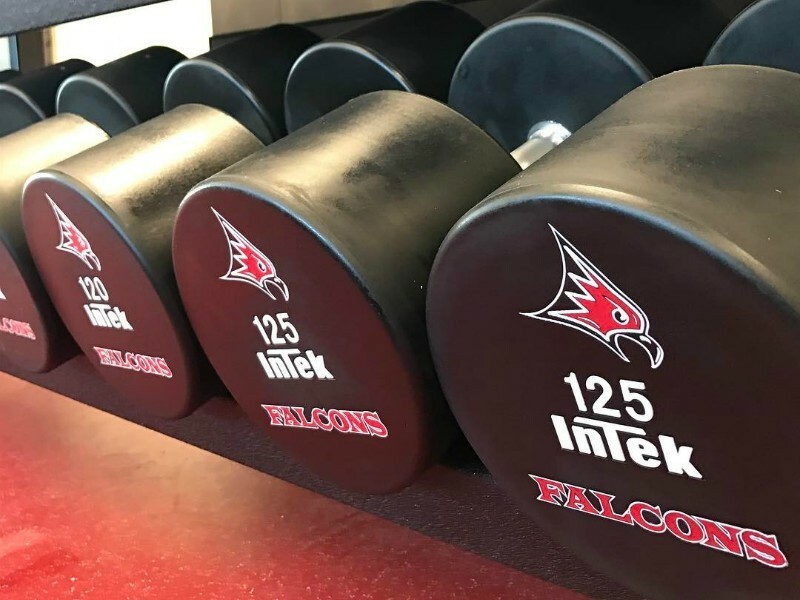 These dumbbells are available from 5 to 150 lb in 5lb increments, and also in 2.5lb increments in sizes from 2.5lb up to 52.5lb.